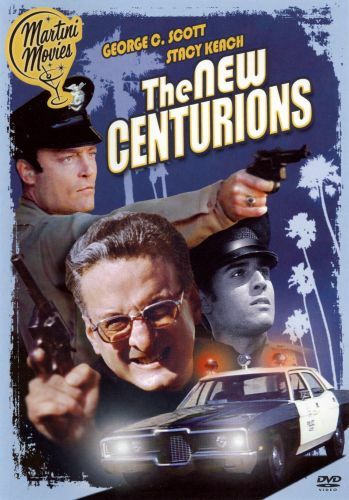 This early attempt at adapting the work of novelist Joseph Wambaugh doesn't break new ground for the cop-movie genre but it's a good, solid piece of work nonetheless. Stirling Silliphant's script takes an episodic approach, using personal storylines of officers Fehler and Kilvinsky as a narrative anchor while devoting most of its running time to a series of on-the-job incidents. The domestic drama elements are sometimes overly familiar (particularly the scenes dealing with Fehler's doomed marriage) but everything is played out with conviction and nothing goes on long enough to wear out its welcome. It also helps that the film is anchored by superb performances from Stacy Keach and George C. Scott: Keach subtly and effectively sells Fehler's slow slide from idealism to disillusionment while Scott effortlessly convinces as a world-weary type who quietly fears becoming obsolete. Scott Wilson also does fine work as a sensitive young recruit who agonizes over a tragic mistake he makes in the line of duty (his facial reactions to this event are gut-wrenching stuff). Director Richard Fleischer brings style to the film without calling attention to it, giving the actors plenty of room to sell the drama while putting his directorial chops to work on a few thrilling action scenes (the best is a hair-raising scene involving Keach stuck on the side of a speeding car). All in all, The New Centurions isn't a groundbreaking entry in its genre but its combination of craftsmanship and intensity make it very satisfying. It is definitely worth the time for cop-film aficionados.